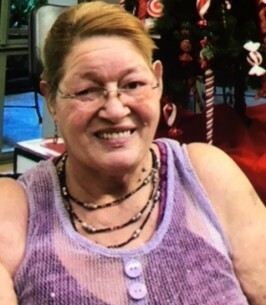 Denise Elizabeth Leopoldo, 64, passed away on February 27, 2019 in Honolulu, Hawaii. She was born in New Orleans, Louisiana. She is survived by Son Eric Dewayne Llanes,Daughter Nikki Cooper, Brother Michael Arceneaux, Sisters Cheryl Robinson Melison Colston, Grandchildren Joshua and Abigail. Celebration of Life services will be held on Saturday March 23, 2019 at the Church of Jesus Christ of Latter Day Saints (Mililani) 95-1039 Meheula Parkway Mililani, HI 96789 at 9:00 am in the Sage Building. To send flowers to the family of Denise Elizabeth Leopoldo (Herron), please visit our Heartfelt Sympathies Store.